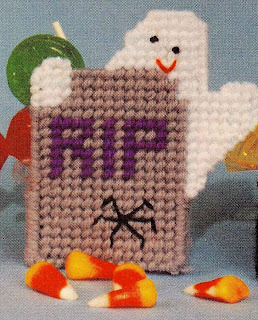 According to my blog stats, many of you don't get around to reading the Killer Crafts & Crafty Killers blog until Saturday. That means you get shut out of entering the drawings when our Book Club Friday guest authors give away books, since the winners are announced on Saturday mornings. 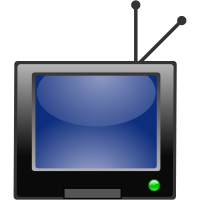 So starting next week, I'll be announcing the winners on Sunday to give you Saturday readers a chance to enter those weekly drawings. 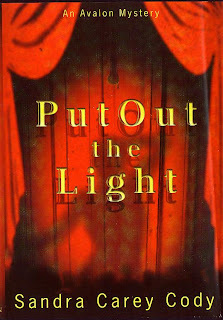 Paranormal novels are dark, edgy and dangerous, so what better place to set one of those novels than the Jersey Shore. Wait, rewind. Did you just say the Jersey Shore? The real Jersey Shore (and not the show that shall not be named) with the beautiful beaches, quaint towns and historic locations? 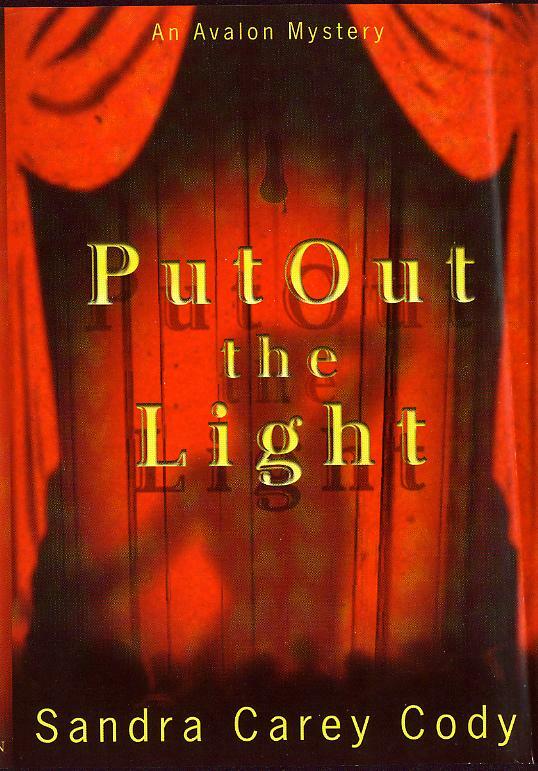 Yes, I did set a dark, edgy and action-packed paranormal suspense novel against that sun-drenched locale because it gives me an opportunity to give readers something other than what they expected in a paranormal suspense novel. Many paranormals and romantic suspense novels are set in and around urban areas and because of that, the locations sometimes have a similar feel. Changing that up opens up new vistas for readers, but also creates new opportunities as a writer. In fact, using different and interesting locations will often act as another character in the story. Writers can not only transport readers to a new place, but juxtapose elements of the story against those backdrops. For example, in the SINS series, the beauty of the beaches is set against the wildness of the Pine Barrens and the dark tunnels in Fort Hancock in SINS OF THE FLESH. It is in a home near the beach where the heroine reclaims her life while almost losing it in the darkness of the Pine Barrens and tunnels. Locations can also be used to provide subtle backstory. In STRONGER THAN SIN, the hero is literally from the “wrong” side of the tracks and has had to work hard to create a life that provides him the income to purchase one of the luxurious oceanfront homes. The railroad tracks that run through the various shore towns create not only a physical barrier, but a social one as well. What else can you achieve by using a different or unexpected location? How about exposing your readers to new foods and customs for that locale? Ice cream from Days in Ocean Grove or frozen custard from Kohrs. Tomato pies from Vic’s or Pete and Elda’s. Don’t confuse them with pizza, because they are quite different. Long strolls along the boardwalks. Each one has its unique flavor and my favorites are in Asbury Park, Bradley Beach and Ocean Grove. Explore the tent city in Ocean Grove.Sit outside the Auditorium or Stone Pony and listen to the music spilling from within these historic icons. The Internet is a marvelous thing, but there is one adage that really is true at times: Write what you know. Look around you. Think of the places you have visited and the memories you’ve created. There is something about having been to a place that lets you add all kinds of details that will ring true with readers. Take advantage of those personal experiences to improve your story. “But what if where I live isn’t all that interesting?” Think of stories like THE STEPFORD WIVES, REVOLUTIONARY ROAD, or the many Debbie Macomber novels set in small towns. As a writer you can make any location interesting for your readers by using your imagination. Thanks for taking the time to stop by! I hope you’ll like the “down the shore” locations and I’d love to hear from you as to what kinds of locales you like to see in your novels. Thanks, Anastasia! These six essentials are in addition to the 10 listed last week. 1. A GPS or smart phone and charger. If you can inch toward an exit, you need to know how to get to your destination via a detour. You can’t study a map as you drive, but you can listen to the sultry tones of the Garmin gal as she directs you around that interstate mess. GPS devices have dropped drastically in price. Trust me, they’re worth every penny, and you’ll soon agree the first time you use one. 2. Water. Never go anywhere without a bottle of water in the car. You don’t want to risk dehydration. That traffic jam you’re sitting in might not have any shade. 3. Snacks. Always have a box of crackers or pretzels handy. If you’re stuck for hours and can’t detour off the main road, you’re going to get hungry. 4. Pre-moistened wipes. They’ll clean your hands and keep you cool inside a hot car. After all, if you’re stuck for any length of time, you’re going to want to turn your engine off to conserve gas and won’t be able to run your AC. Wipes also come in handy when you make pit stops and find the restroom is out of soap. 5. A book. I was once stuck behind a serious accident for 3 hours. I could see my exit about a mile up the road but had no way of getting to it. Unfortunately, I had forgotten to bring a book. Believe me, those were a very long 3 hours. Thanks, Anastasia. Recent statistics show that strokes are on the rise for people between the ages of 20 and 45. Over the past decade incidents of stroke in this age group have risen from 4.5% to 7.3%, most likely from increased rates of obesity and diabetes. Time is of the essence when treating stroke victims because quick, timely treatment minimizes damage sustained from strokes. So it’s vital the stroke is recognized and treatment sought as soon as possible. For this reason, the National Stroke Association has developed a FAST trick to help identify symptoms. Remember FAST: Face, Arms, Speech, Time. SPEECH: Ask the person to repeat a simple sentence. Can he or she do it accurately? Are the words slurred? TIME: If the person has ANY of these symptoms, call 911 or get the person to the hospital immediately. Mix zucchini, onion, eggs, flour and garlic together. Heat oil in skillet until hot. Use a tablespoon sized cookie dough scoop to add zucchini mixture to oil. Fry until golden brown, turning once. Drain on paper towels to remove excess oil. Divide zucchini onto 4 plates. Top with heated tomato sauce. Sprinkle with parmesan cheese. 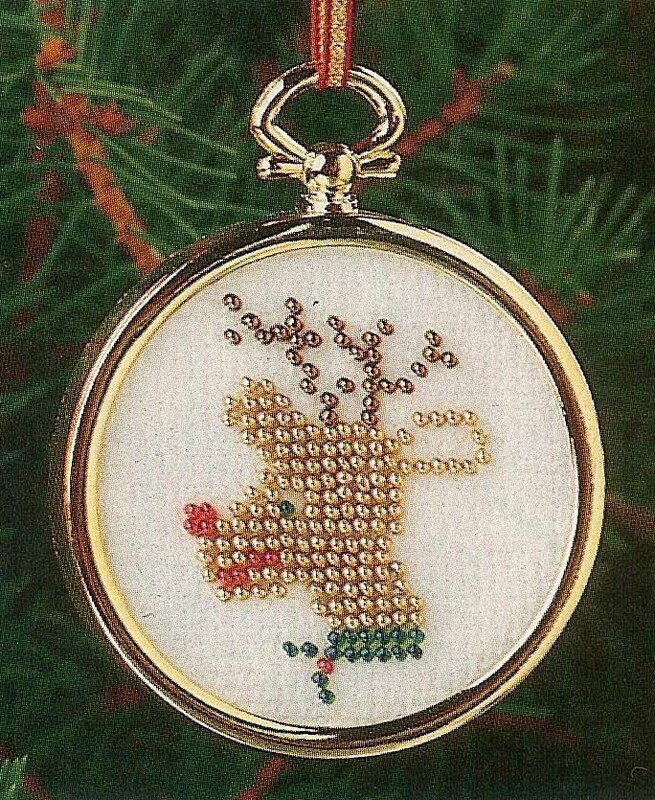 This cute reindeer ornament is stitched on cross stitch fabric but with seed beads instead of embroidery floss. The beads are stitched onto the fabric with a half-cross stitch. 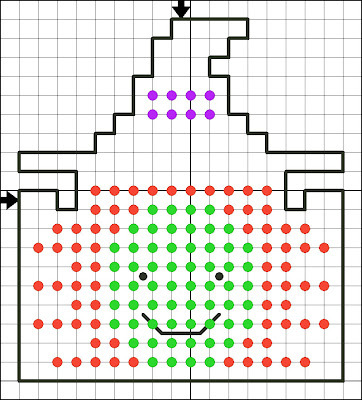 Work across each row using the color bead indicated in the chart. Use lt. gold for the reindeer; dk. 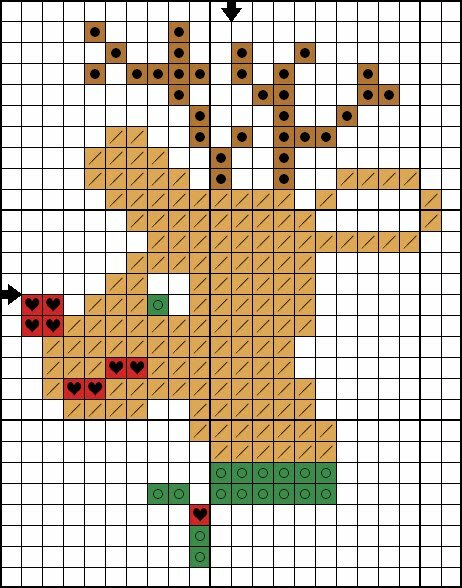 gold for the antlers; red for the mouth, nose, and holly berry; and green for the holly, collar, and eye. First, thanks for inviting me, Anastasia. I’m thrilled to have a chance to get to know some new folks who love reading, writing and all things crafty as much as I do. Part of the pleasure of just about any creative endeavor is that it leads you in new directions. And venturing in a new direction for even a short distance adds a new dimension to your creation, whatever it may be. I write a mystery series set in a retirement community where the residents are lively, alert and just bored enough to stir up trouble. My protagonist is Jennie Connors, who is charged with keeping these residents out of trouble. 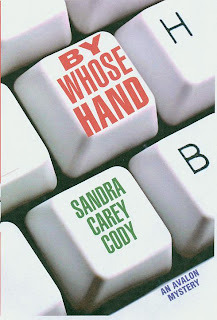 In each book, I’ve had a different resident use the special wisdom gained from their years of not-too-careful living to help (and sometimes hinder) Jennie in solving the mystery. I checked out three from the dozen or so on the shelf. I knew, of course, there was no way I could make myself an expert by reading three books. But that didn’t keep me from having fun with it. The first thing I did was take a couple of sheets of unlined paper and start filling them with random thoughts. I planned to analyze my own handwriting to see if my idea of myself agreed with the examples given by the experts. I did this before I read the books, so I wouldn’t be tempted to shape my letters to fit the person I’d like to be. Thanks, Anastasia! Some of these are really important for those readers who live in cold climates, especially areas that get lots of snow. 1. An aerosol can of instant tire patch. 3. A bag of kitty litter. Sprinkle kitty litter under your tires to gain traction if you’re stuck in the mud, snow, or on ice. 4. A flashlight with extra batteries. 5. Two empty coffee cans. The cans have multiple uses. They can scoop snow. A candle in a coffee can will provide some heat. In a bladder emergency, a can will serve as a port-a-potty. 7. Matches sealed in a water-tight container. 10. Extra hat, gloves, and scarf. Thanks, Anastasia! One of the quickest ways to spruce up your home for any holiday is with a theme-inspired centerpiece. However, many people cringe at the thought because for them it means spending a fortune on a pre-made centerpiece from the florist, craft, or gift shop. They think they can’t possibly create something on their own and therefore, never try. Frankly, this is one of the easiest decorating tricks in the book and takes absolutely no talent. Really. Even if you’re all thumbs. First, find an appropriate container. You don’t have to spend a dime. Everyone has baskets sitting on a shelf in the basement, in a closet, or up in the attic, right? Don’t have one the right size or color? Think outside the box. Literally. Cover a shoe box with wrapping paper. Use several clay flower pots grouped together. Even a serving bowl will work. Next take a trip to your local crafts store or big box store. Purchase an assortment of fake leaves, greenery, and gourds. Or pick some autumn leaves, pine cones, and evergreen branches from your backyard and buy some real gourds at the supermarket. However, if you buy the fake stuff, you’ll be able to reuse the items year after year. Now, here’s the easiest part -- take what you purchased and fill your container. Just dump the stuff in. That’s all there is to it! Don’t believe me? Give it a try. You’ll wind up with something that looks like you spent $50 when you really only spent around $5. Want to craft a centerpiece without spending even that much? The next time you go for a walk around your neighborhood, take a bag with you and collect the pine cones strewn over the ground. When you get home, fill a basket with them. Voila! Instant, cost-free centerpiece! Want to jazz it up a bit? brush the tips with white paint and sprinkle on some silver or gold glitter. Thanks, Anastasia! If you planted zucchini this past spring, by now you probably have zucchini up to your eyeballs. Fear not. 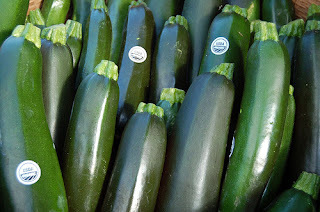 The first killing frost is on the way, and you will soon be through picking zucchini for the year. However, if you’re someone who likes having lots of zucchini to add to recipes, you don’t have to wait until next year’s bumper crop. Here’s a very easy way to freeze zucchini and stretch the end of your crop throughout the coming winter. Cut zucchinis in half. Scoop out seeds and discard. Shred zucchini in food processor or chop into 1/2 - 3/4” cubes. Place 1 cup amounts of shredded zucchini in zip closure plastic sandwich bags. Press out as much air as possible while sealing bags. Place bags in freezer. Add a bag or two of frozen zucchini to soups, stews, pasta sauce, and meatloaf mix. Or use in bread and muffin recipes. Thanks, Cloris! What an excellent idea with none of the mess or hassle of canning! Readers, what tips do you have for all that extra zucchini, tomatoes, or other garden produce? Let's hear from you. 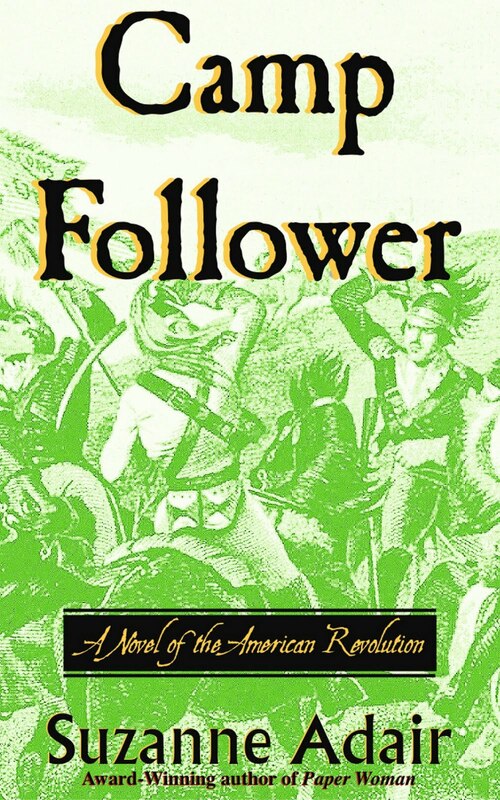 Everyone who posts a comment this week is entered in the drawing for a free book from our Book Club Friday Guest Author. 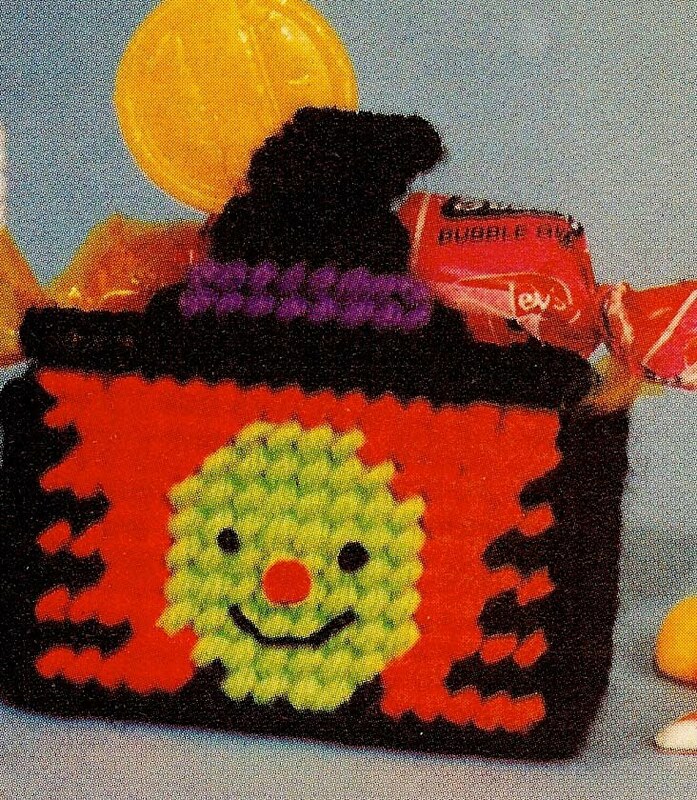 This week, the final Halloween candy cup, a witch to join your ghost and pumpkin from the last two weeks. Using the pencil draw the outline of the pumpkin on plastic canvas. Also, draw two side pieces 10 x 10 bars, and one back and one bottom each 10 x 18 bars. Each line on the chart represents a bar on the canvas. Cut out shapes, cutting in the space between bars and not on the bar. After cutting, trim off all the remaining plastic nubs. Following the chart, stitch the front piece in Continental Stitch. Fill in the uncharted areas in black. Stitch the sides, back, and bottom pieces in black Continental Stitch. Using 6 strands of black floss, French knot the witch’s eyes and mouth in black. Whip Stitch the pieces together with black yarn. Overcast the witch’s hair in orange, the hat band in purple, and the remainder of the candy cup in black. Do you do any special for Halloween? Let's hear from you. 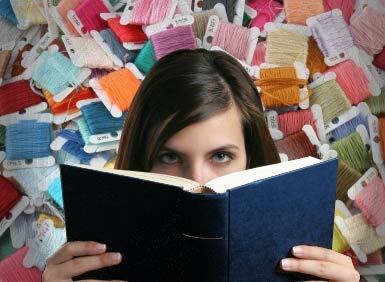 Like guest author Mike Manno (6 August 2010), I don't think of myself as a "crafter." The gene for knitting, crocheting, sewing, weaving, glass staining, and leatherworking must have missed its ride on my DNA. However, I am a character-smith, as Mike is. Especially where the dialogue of those characters is concerned. As an author of historical fiction, I must deal with a special challenge that writers of contemporary fiction don't face. Only within the most recent century of human history have we preserved recordings of speech. 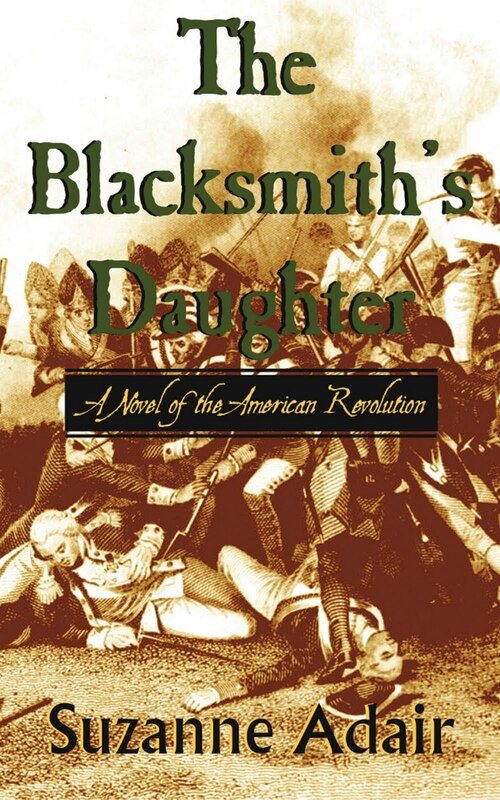 An author who writes fiction set in that time period can capture dialogue accurately. However the rest of us must take liberties and make assumptions when crafting our characters' conversations. Here's a peek at how we do it. Some writers simulate dialogue by duplicating the way people wrote their personal correspondence, such as letters and journals. But linguistics experts agree that humans don't speak the way they write. For example, a writer who elects to have characters from the time of King James I speak the way they wrote might have them talk in big, windy phrases filled with "thees" and "thous." Their speech would be lush with alien terms. Familiar words would be spelled in bizarre, inconsistent ways. The result could kill most readers' interest in the story by slowing the pace. And since many people of King James's time were illiterate, the writer would only represent the expression of educated people. 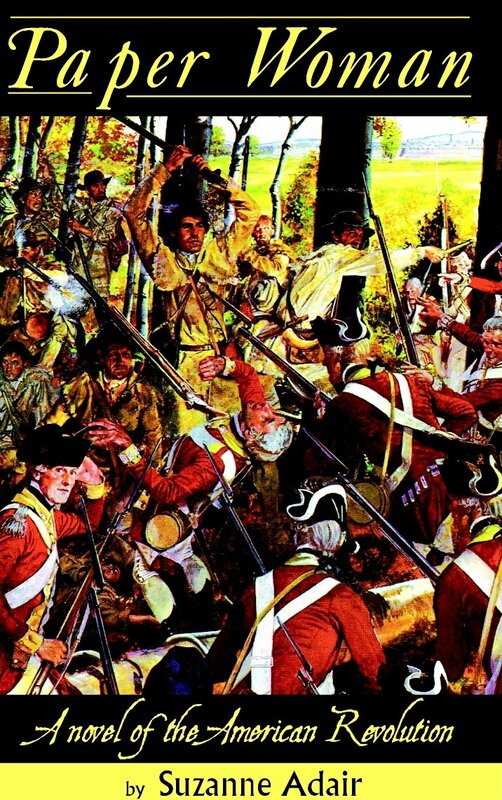 Obstacles like these convince other writers to embrace the opposite philosophy about constructing verbal communication for historical fiction. They avoid the snarl of "thees" and "thous" by inserting modern speech, complete with slang, in their characters' mouths. They operate under the assumption that the dialogue will be so familiar to readers that they'll glide over it. In practice, however, this approach can jolt readers out of the story. Let's face it, when you're reading historical fiction, you want to be immersed in the exotic world of a story set in the past. Even if you don't have a degree in history, you know that a couple of Regency rakes prowling the London brothels wouldn't call each other "bro." Many historical fiction writers, including myself, adopt a sort of middle ground. They use dialogue patterns that are mostly modern, but they avoid modern slang and anachronisms. They also incorporate period slang and terms in a manner that readers can understand meanings from context. The idea here is to avoid having the pace stall while conveying the flavor of what conversation from a past era might have been like. Achieving this balance is tricky. We're equipped with a vocabulary suited for the 21st century. To successfully craft dialogue from this middle ground, writers must develop an internal detector that flags anachronisms and 21st-century slang. They must also enlist a team of early readers to help them do the flagging. Access to a dictionary that shows when words entered the English language is essential. I was curious what style of dialogue readers actually preferred, so I started a discussion about it over the summer among readers on LibraryThing. (Many thanks to all of you who participated!) Most who responded preferred the middle ground. "Too much reliance on antiquated ways of speaking makes it hard or annoying to read, but slang and words that are clearly modern take me out of the book," said one reader. Another observed: "If the author is trying too hard to sound period, it just sounds contrived to me." These folks also volunteered insights into what makes conversations among historical characters resonate as authentic. While writers might believe that regional dialect contributes to the period ambiance, readers say no, that heavy use of dialect distracts them from the novel's flow. Also, writers who devote research time to understanding a culture well enough to craft believable insults and jokes usually produce believable period dialogue. 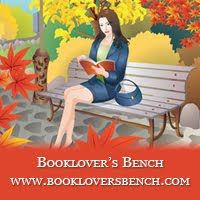 And readers enjoy conversations that sound "timeless." Here we aren't just talking about dialogue that's suitable for a specific historical period, but dialogue that's crafted well enough to be understood a hundred years from now, without a slang dictionary. That's a tall order for a dialogue craftsmith who's writing fiction set in any era. What historical fiction author have you read who crafts timeless dialogue? What's your reaction to the use of regional dialect, modern slang, or antiquated speech patterns in historical fiction? Thanks, Anastasia! Raise your hands. How many of you have tossed out cans of hairspray before they’re empty due to clogged nozzles? I’ll bet every one of you has suffered that wasteful frustration at one time or another. Well, guess what! You don’t have to ever again. Here’s a simple solution for unclogging that nozzle. Pour a little rubbing alcohol in the hairspray can’s cap, enough to cover the nozzle. Pull the nozzle off the can, and let it soak in the alcohol for a bit. Rinse the nozzle, and insert it back into the can. Voila! Your can of hairspray is as good as new! Thanks, Anastasia! Sometimes it’s not easy to tell exactly what it is you have, and taking the wrong treatment can either do nothing to alleviate your symptoms or may actually make them worse. So before you reach for the decongestant, here are a few tips to help you determine what you have. Colds are viruses. They usually last 3-5 days, but symptoms can linger for several days after the virus is gone from your body. Signs of a cold can include a hacking, mucous-producing cough along with a stuffy nose, sneezing, sore throat, slight body ache, and mild chest discomfort. Fever and headaches are fairly uncommon with colds, and tiredness is fairly mild. Cold symptoms general develop over the course of several days. The best defense against catching a cold is to wash your hands frequently. Flu is also a virus, but it generally comes on quite quickly, usually within 3-6 hours. Symptoms can include fever, a dry cough, severe aches and pains, chills, tiredness, and chest discomfort. Sneezing, a stuffy nose, and a sore throat are not commonly present with the flu, but headache is. The best defense against the flu is to get an annual flu shot. However, since there are many different strains of flu and the shots only protect against the three that scientists believe will be present any given year, you can still get one of the strains not included in the inoculation. Allergies occur when your immune system overreacts to something that is generally not a common threat. Some of the more common allergies are pollen, ragweed, dust, mold, and pet dander. These types of allergies come on slowly (as opposed to certain food allergies) and will linger for as long as the allergen is present. For allergies to pollen and ragweed, this is usually 3-4 weeks. These allergies generally produce sneezing, sniffles watery eyes, itching, and sometimes rashes. The best defense against allergies is to avoid the allergen. When that’s not possible, allergy shots work for many people, or you can take over-the-counter allergy medications as needed, but always consult with your doctor first. Combine peaches, sugar, vinegar, cinnamon, and paprika in a blender. Cover and blend until smooth. Divide turkey into eight balls. Roll out four balls between layers of wax paper to 1/4” thickness. Divide the cheese between the four patties. Roll out remaining balls to 1/4” thickness. Place one over each cheese covered patty. Pinch edges closed. Heat oil in skillet over medium heat. Cook patties until browned and no pink remains. While patties are cooking, toast bread. Line broiler pan with non-stick foil. Place slices of bread on foil. Place a patty on each slice of bread. Pour peaches over patties. Broil until peaches are bubbly. 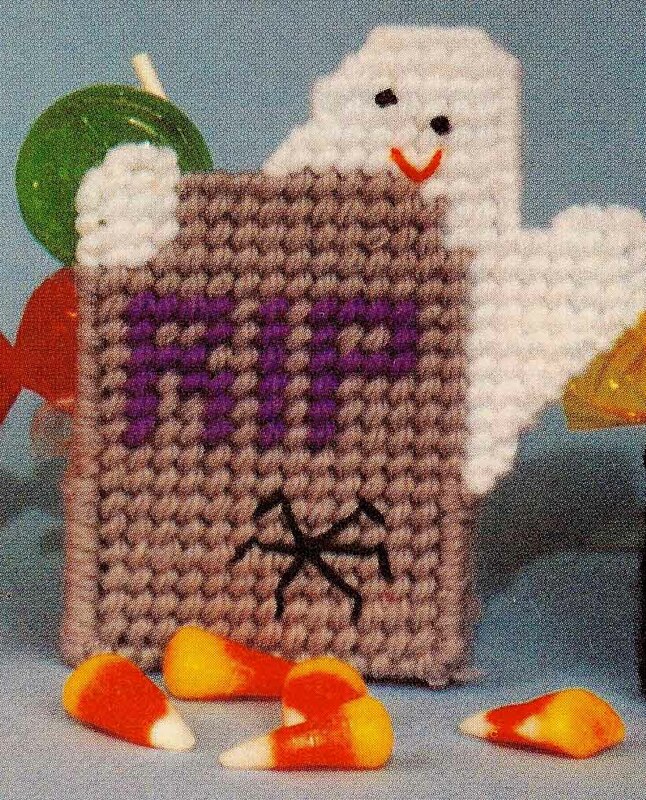 This week, another Halloween candy cup, a ghost to add to your pumpkin from last week. 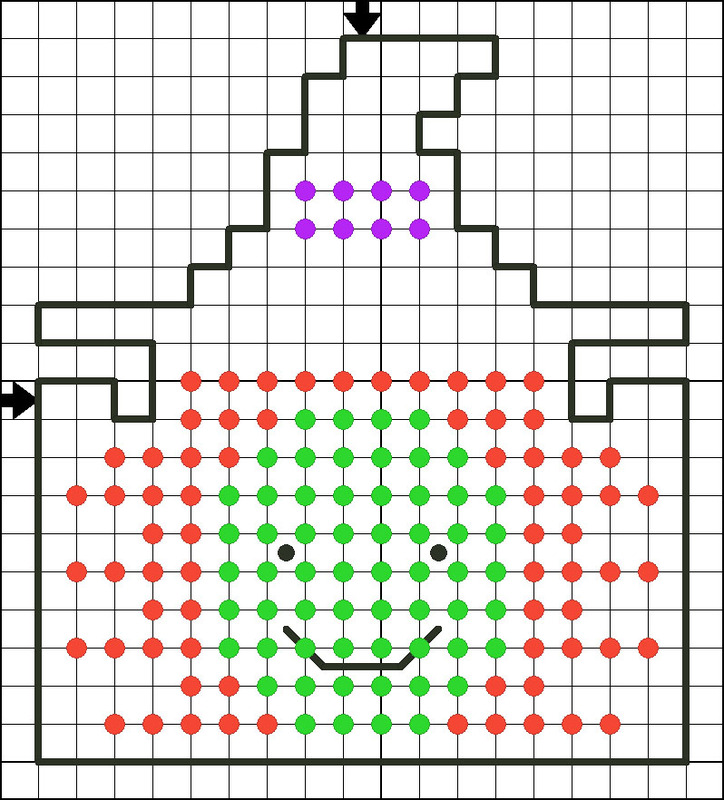 Using the pencil draw the outline of the pumpkin on plastic canvas. Also, draw two side pieces 8 x 10 bars, one back 8 x 15 bars, and one bottom piece 10 x 15 bars. Each line on the chart represents a bar on the canvas. 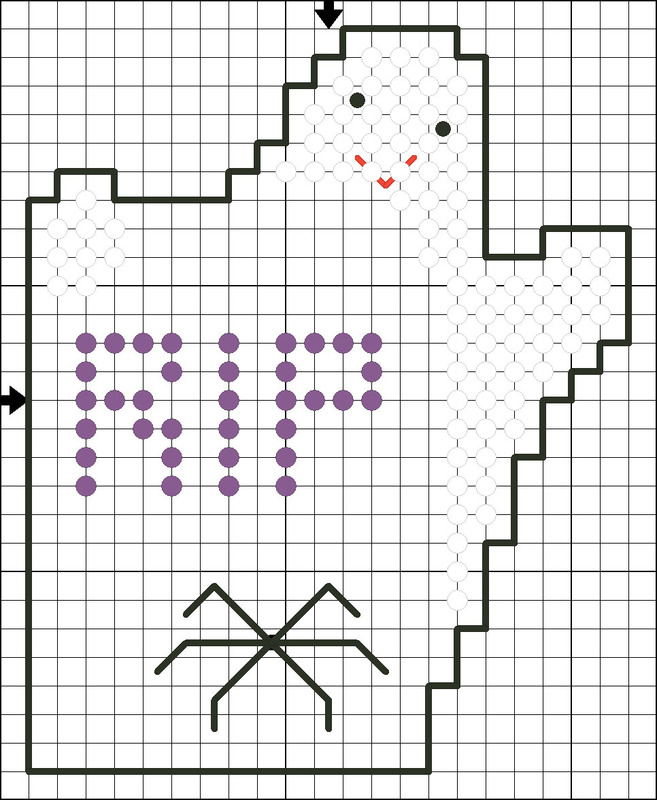 Following the chart, stitch the front piece in Continental Stitch. Fill in the uncharted areas in gray. Stitch the sides, back, and bottom pieces in gray Continental Stitch. 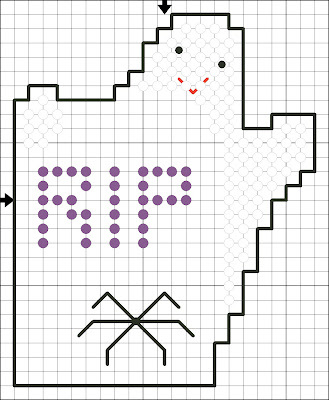 Using 6 strands of black floss, French knot the ghost’s eyes and the spider’s body. Backstitch the spider’s legs in black and the ghost’s mouth in orange. Whip Stitch the pieces together with gray yarn. Overcast the ghost’s body and hand in white and the remainder of the candy cup in gray. 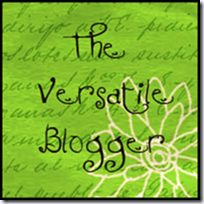 I’m grateful to Anastasia for allowing me to be a guest on her blog. And I’m grateful to readers! I love my work, and I’d be nowhere without you. I loved art until the 8th grade. That year my art teacher quickly divided students into two unofficial but obvious groups: Those Who Have Talent, and therefore belonged there, and Those Who Have No Talent, and therefore had no right taking his time. During our first project, which involved painting, he made it clear that I was in the second group. Fortunately, my language arts teachers were much more affirming. I wrote my first novel when I was fifteen. It took many years and many manuscripts before I sold a novel, but I believed I’d break through one day. After a couple of years I became curator at the historic site. Among other things, I supervised the domestic craft program. Old World Wisconsin includes ten completely restored farmsteads and a crossroads village. The buildings represent a variety of ethnic groups and their folk traditions. I actually got paid to research the handwork relevant for the women of each group depicted! I helped train the interpreters, who in turn shared the activities with visitors. And I loved every minute of it. That hands-on practice also served me well as I developed my skills as an historical novelist. I could write about warping looms, scutching flax, and tatting lace because I’d done all of those things. I left Old World Wisconsin in 1995, after twelve years on staff. 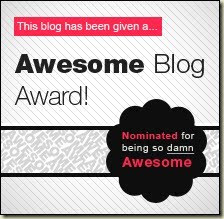 I never forgot how much I loved the site, though. So when I decided to write an adult mystery series, I chose to make my protagonist, Chloe Ellefson, a curator. 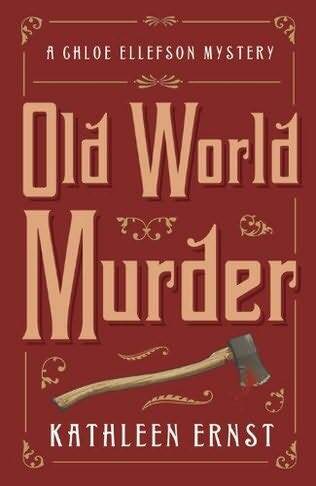 Old World Murder is set at the site I know so well. And one of the great pleasures of developing the series is thinking about different ways handwork can play a role in the plots. I knew about rosemaling from a curator’s perspective, but in order to understand Chloe’s experience, I decided to take a rosemaling class. Last summer I signed up for five days at Vesterheim Norwegian-American Museum in Decorah, Iowa. Perhaps I subconsciously still believed I belonged in the “No Talent” group, but I went to Decorah believing I was there for research purposes, nothing more. The five days of class were intense and challenging. But much to my surprise, I felt in love with the art. I hadn’t held a paint brush since the eighth grade, and it felt wonderful. I couldn’t be more proud of my first two projects. So crafts have always played an important role in my writing. 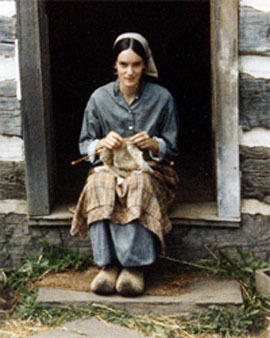 Learning about historical handwork fed my early novels…and now, my newest book has circled me back to the pleasure of learning a new art form. 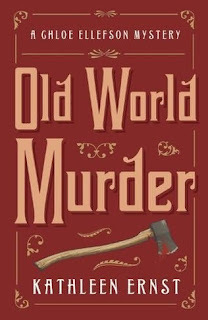 I hope you enjoy meeting Chloe in Old World Murder, and will want to follow her to new sites as the series unfolds. I also hope you won’t wait as long as I did to learn, or return to, an art form that appeals to you! Thanks so much, Kathleen! One of the best parts of Book Club Friday is discovering all the varied backgrounds of our guests. And I’m in awe of the fact that you were able to master tatting, something even I haven’t yet mastered! That’s right, Anastasia. Thousands of companies produce pink products this time each year, and either a percentage or all of the proceeds from their sales go to helping find a cure for breast cancer. Here are a few of our favorites for this year. Ford Motor Co. offers Warriors in Pink apparel and accessories at fordcares.com. 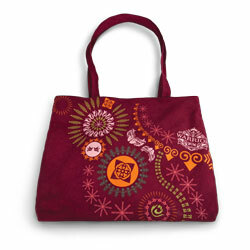 We especially liked their Warrior Getaway Tote, a steal at $20. There are three dozen chic and stylish items to choose from, and the best part is that 100% of the proceeds from the sales go to Susan G. Komen for the Cure. Another fashion fave of ours is the Fergie Footwear Hope pump. The shoes are $45 and can be purchased at QVC beginning Oct. 15 th. 100% of the net proceeds will go to cancer research. Skechers will donate $10 to breast cancer research for each pair of their limited-edition Shape-up Awareness shoes ($110) purchased. Opi Nail Lacquer has a Pink of Hearts shade ($8.50) for Breast Cancer Awareness Month and is donating $25,000 to Susan G. Komen for the Cure. Half a million dollars from sales of the Estee Lauder Pink Ribbon Collection will be donated to the Breast Cancer Research Foundation. 100% of the net proceeds from the sale of Ralph Lauren’s Pink Pony Collection Organic Tote ($10) will go to the Pink Pony Fund of the Polo Ralph Lauren Foundation. Some of the other companies offering limited edition fashion and beauty products with proceeds going to support breast cancer research this month are Lacoste, TOCS, Sephora, Dyanne Belle, Needham Lane, Tweezerman, Shiseido, Philosophy, and Avon. Look for them and many more as you shop this month to be part of the cure. If you notice any of these signs and symptoms, make an appointment to see your doctor immediately. And if you’re 40 years old or older, start getting mammograms. Speak with your doctor to determine how often you should have a mammogram. Age and family history are factors. Mammograms save lives. They’re not the most comfortable thing in the world, but that few seconds of discomfort might just save your life. Too many women put off getting mammograms because they fear the procedure. This is not a case of what you don’t know can’t hurt you. When it comes to breast cancer, what you don’t know can kill you. By the time you feel a lump, it may have been growing for several years and might already have metastasized. Early detection is key. So do yourself and your family a favor -- make an appointment for a mammogram today. Thanks so much, Janice! You may have saved a life today. Wisk together vinegar, oil, and lime juice. Cut the veggies into bite-sized chunks and place in bowl. Add mozzarella balls and minced onions. Pour oil/vinegar mixture over veggies. Stir to coat veggies. Cover and chill for at least 2 hours before serving. Thanks, Cloris! I know our readers will love this one as much as I do.